Leveraging on our rich industry experience, we have emerged as a proficient Manufacturer and Supplier of Overhead Stirrer. 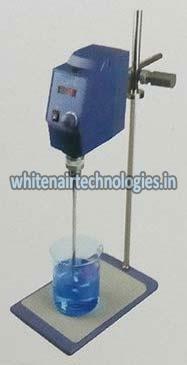 The Stirrers we make available are manufactured in adherence with set industrial norms. Bulk orders of these are processed by us as per the specific requirements of the buyers. One can obtain these at affordable rates from us.